Early morning visit to Taj Mahal with Rising Sun, return to hotel for breakfast and wash and change. After breakfast drive towards Ranthambore and visit Fatehpur Sikri en route. On your arrival check in to your hotel and spend the rest of the day at your own leisure. Stay overnight in the room. 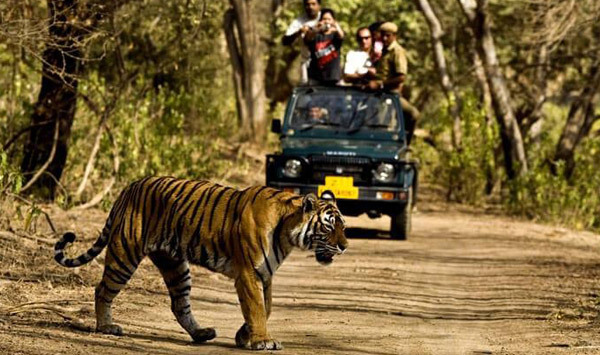 After breakfast enjoy morning safari at Ranthambore National Park. After lunch enjoy afternoon park safari. As the day comes to an end, you come back to the room and stay overnight. After breakfast at hotel, start driving to Jaipur. On arrival check in your hotel, spend the rest of time at leisure, overnight in the hotel. .